Nanofluidics is the study of the behaviour, manipulation, and control of fluids that are confined to structures of nanometer characteristic dimensions. Various reasons may be found to motivate the development of Nanofluidics. From a biotechnological point of view, decreasing the scales considerably increases the sensitivity of analytic techniques. From a fluidic point of view, nanometric scales allow new fluidic functionalities to be developed, using the explicit benefit of the predominance of surfaces. One application field of nanofluidics is for instance synthesis of nanoparticles/nanogels. In this document we will explain how pressure driven flow control works and its advantages for nanofluidics. Pressure driven flow control is a smart tool for nanofluidics. Widely used in microfluidics, it allows pulseless flow within millisec response time. It consists in using a gas input pressure within a hermetic liquid tank in order to flow liquid from the tank to your microfluidic or nanofluidic device. A pressure controller pressurizes a tank, such as Eppendorf, Falcon or a bottle containing the sample, which is then smoothly and quasi-instantly injected inside a microfluidic chip. 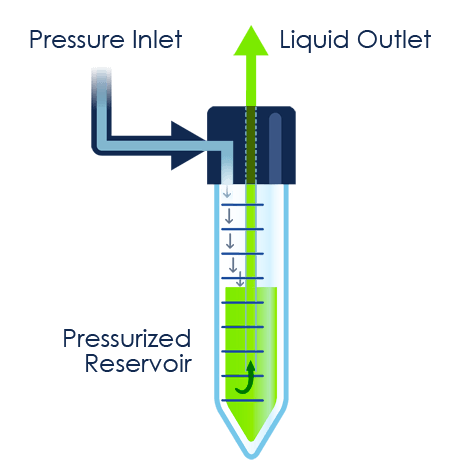 Figure 2 : The reservoir is pressurized, the gas pushes on the fluid surface, the fluid will flow through the outlet. Thus, controlling the input gas pressure of the tank will enable to control the liquid that flows out of the tank. Thanks to piezoelectric pressure regulation, Elveflow’s system are able to regulate the flow within 40 ms with a 0.005 % stability. One advantage of pressure driven flow control relies in the capability to handle fluid volumes from several hundreds of mL to a few µL. You can thus turn your system into a powerful syringe pump. By coupling our pressure controller with one of our flow sensor, you can perform ultra precise and responsive flow control. You can request a flow rate value with an accuracy up to 7nL/min in the Elveflow Software. The pressure controller will automatically adjust pressure to reach the requested value thanks to a customizable PID Feedback loop. 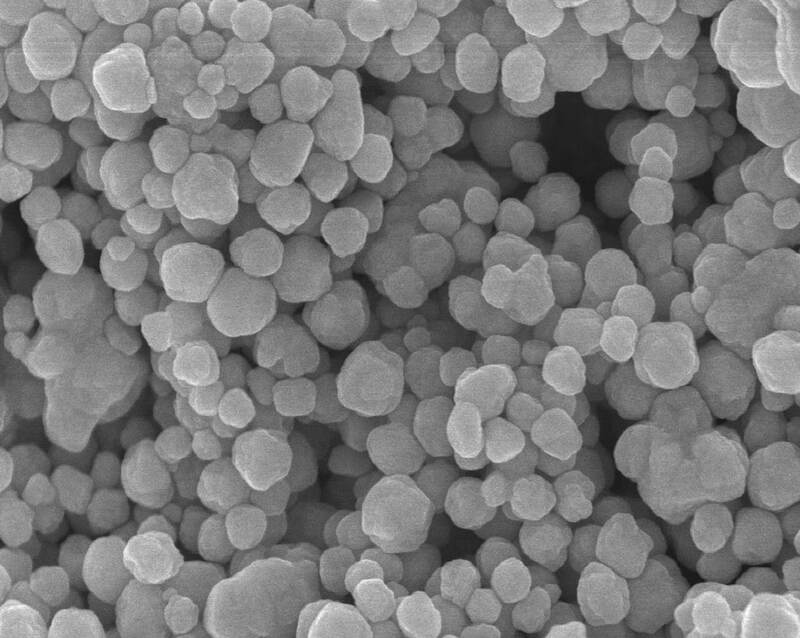 Synthetizing nanoparticles/nanogels has been done for years by nano precipitation or double emulsion. However, the two major drawbacks of these methods are that nanoparticles are not narrow disperse these methods are not reproducible (each batch gives different size and distribution). A droplet generation system coupled with our pressure driven flow controller might becomes handy as it allows > Easy parallelization of experiments: gain time and test multiple conditions. > Accurate control over droplet’s size and distribution. > Possibility to automate the experiments: better reproducibility. > Handling small volumes of liquids: don’t waste expensive samples. > Minimal risks of contamination . The most common methods used in order to create microfluidic/nanofluidic droplets are based on T-shapse chips or flow focusing chips. In both cases the mechanism remains the same: two different phases (oil and water in most cases) and special flow conditions are needed. Droplets size and frenquency depend on the inlet flow rate ratio and the stability of the droplet depends on the stability of the flow. 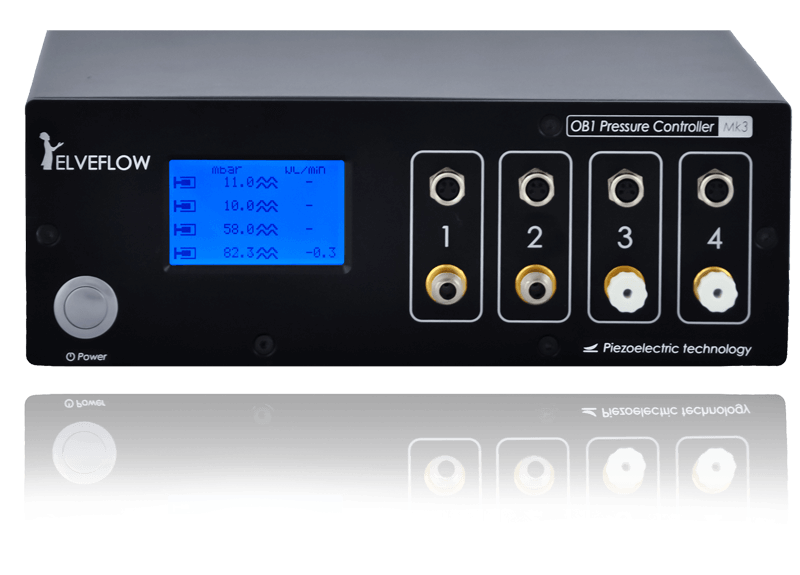 The OB1 Mk3 enables a precise control over the pressure and thus stable and homogeneous droplets. 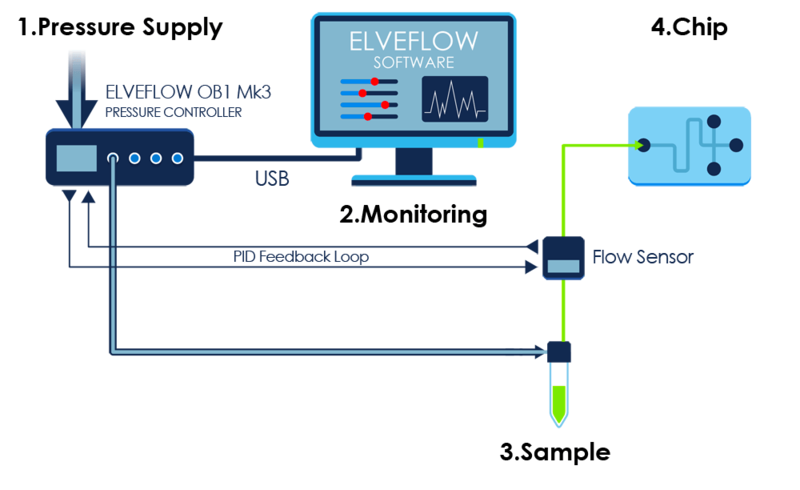 Moreover, the Elveflow® Smart Interface is a user-friendly software that will allow you to easily perform different experiments of droplets generation. You will easily adjust the pressure applied to the different fluids in order to control the size and frequency of the droplets. Thanks to the fast response time of the OB1 Mk3, it’s possible to change quickly the flow conditions and thus to change the shape of the droplets within few milliseconds.